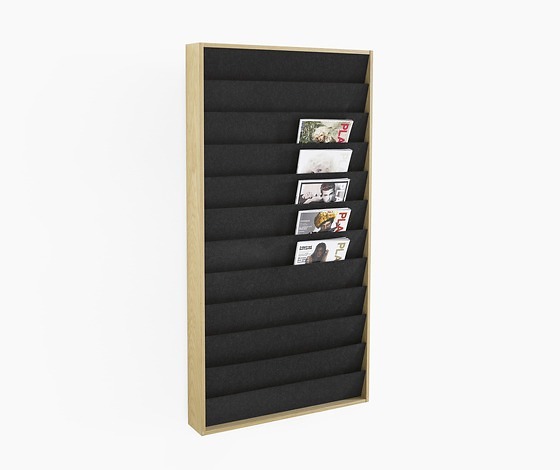 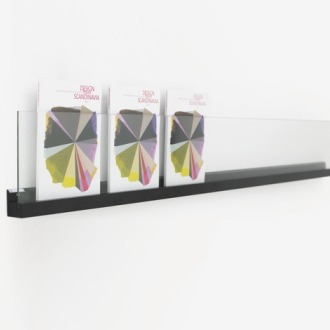 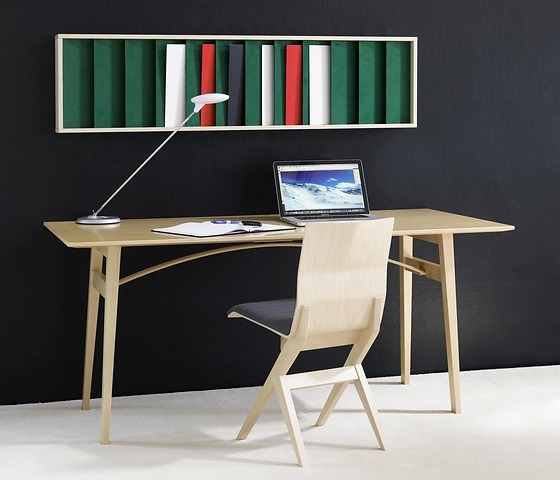 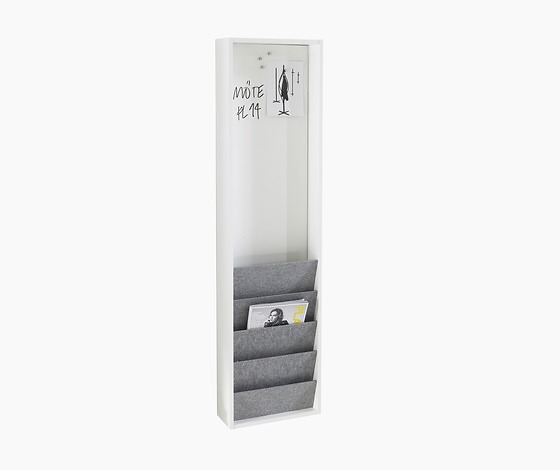 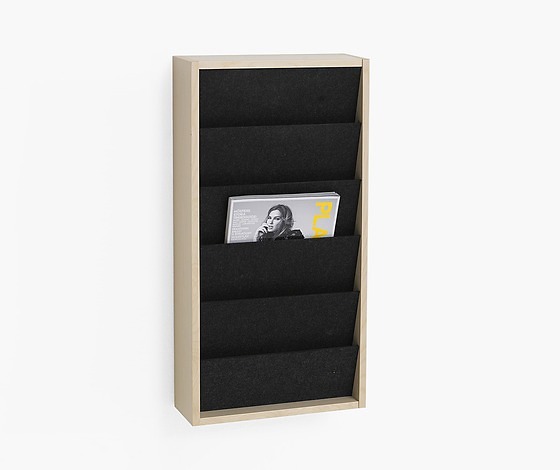 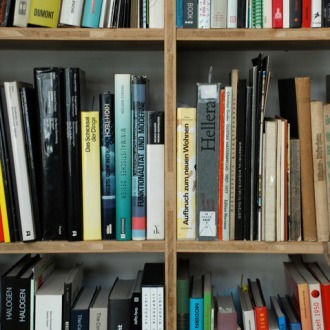 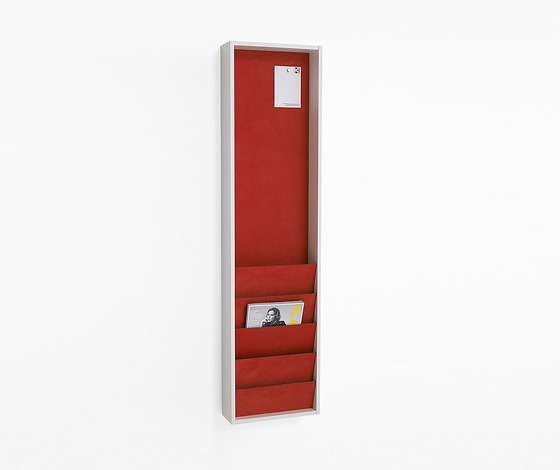 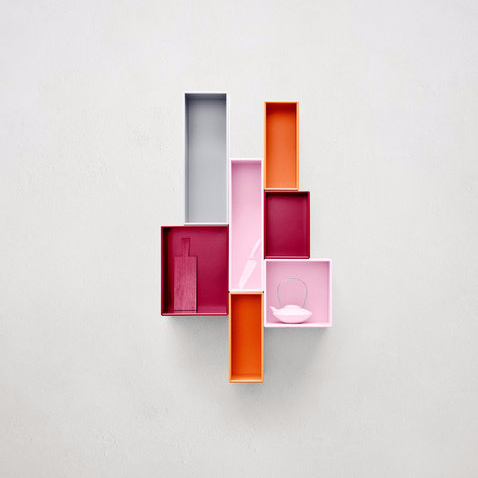 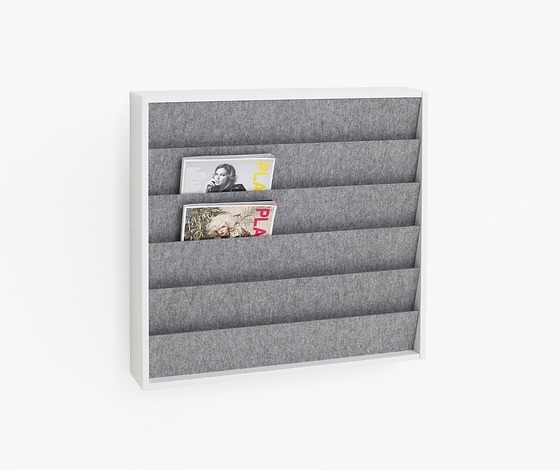 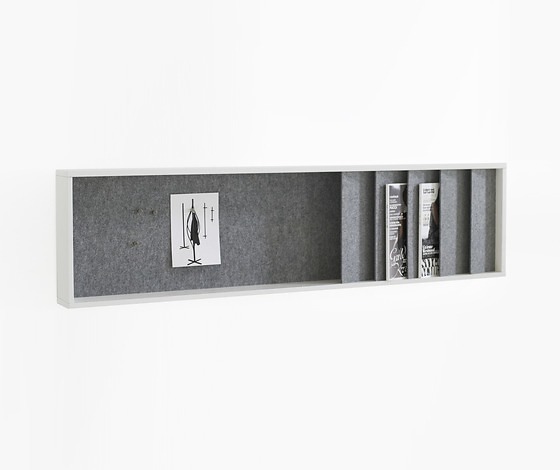 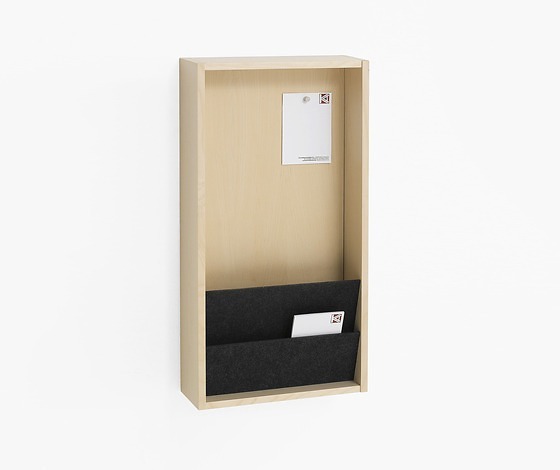 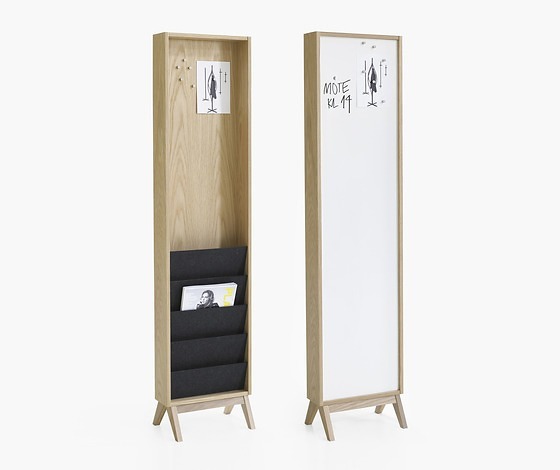 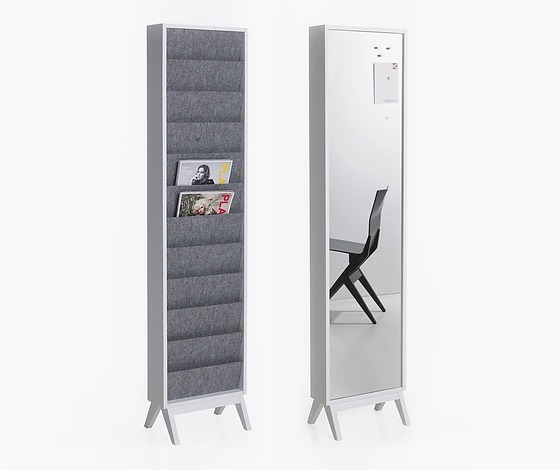 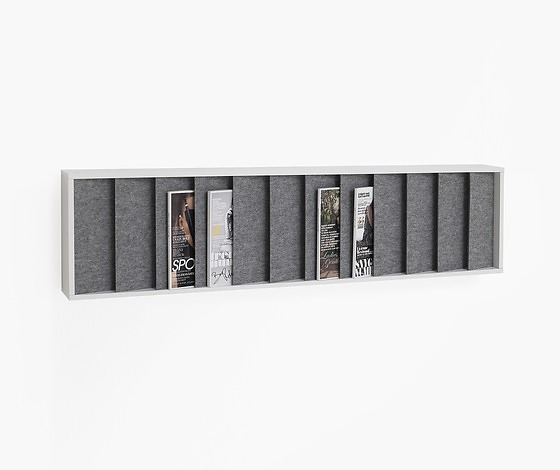 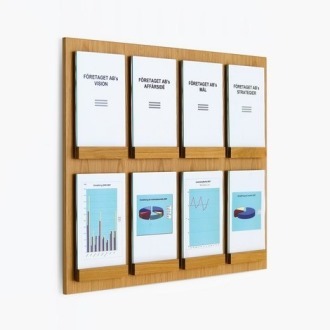 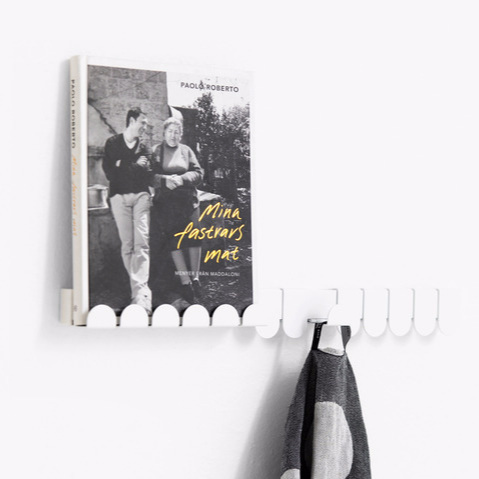 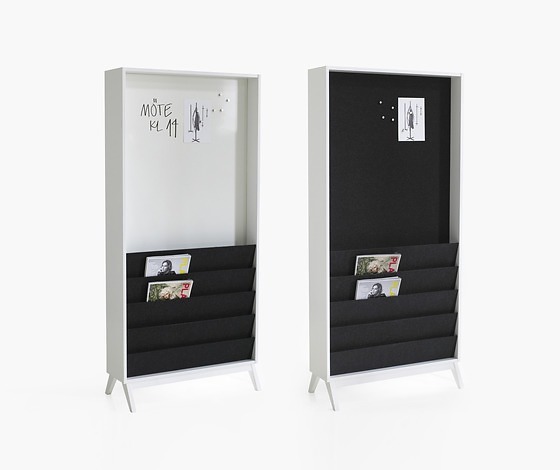 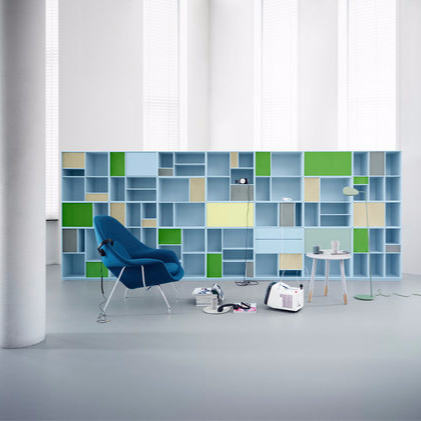 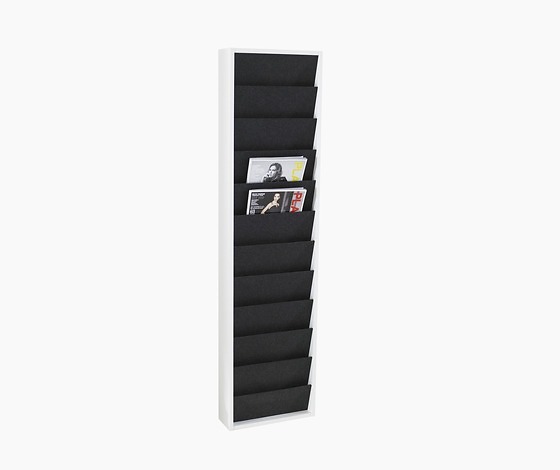 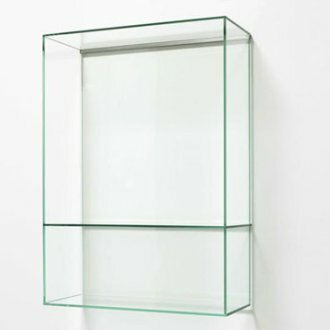 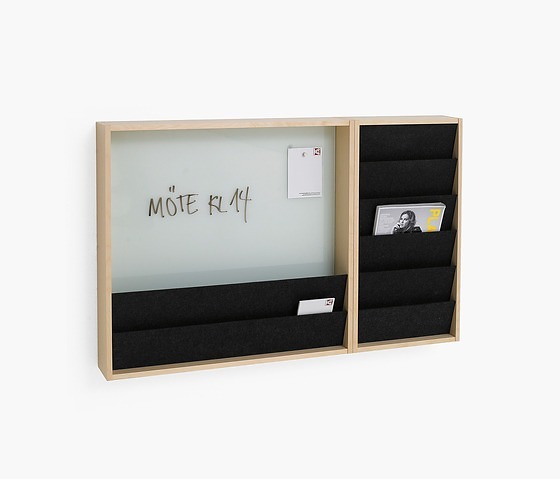 Ridå is a magazine rack, a brochure stand, a mirror, a writing board – or a combination of all these functions. 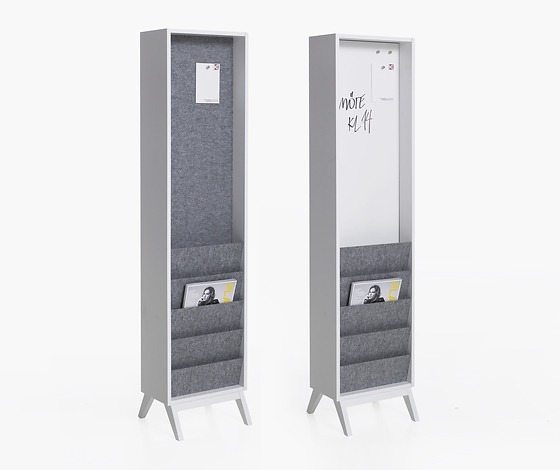 Ridå contributes to creating a cosy feeling with its pockets in pressed felt – light grey or anthracite – that helps to absorb and reduce background noise. 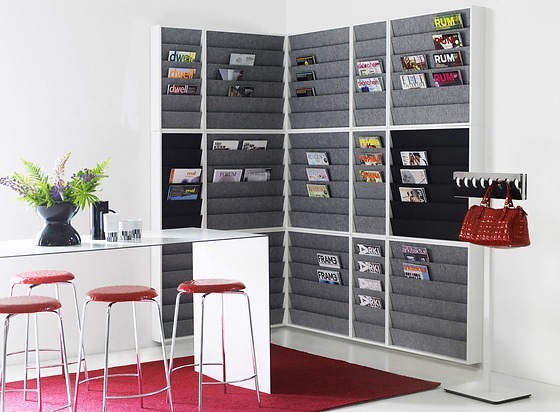 The magazines or brochures peep out from behind the textile panels like faces from behind a curtain. 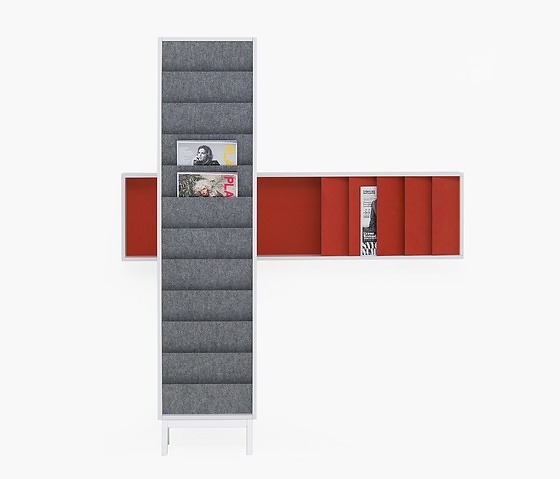 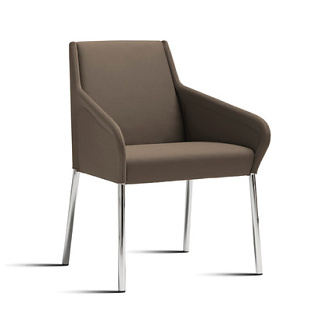 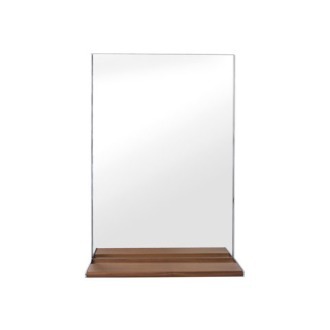 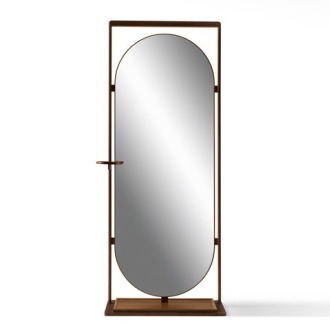 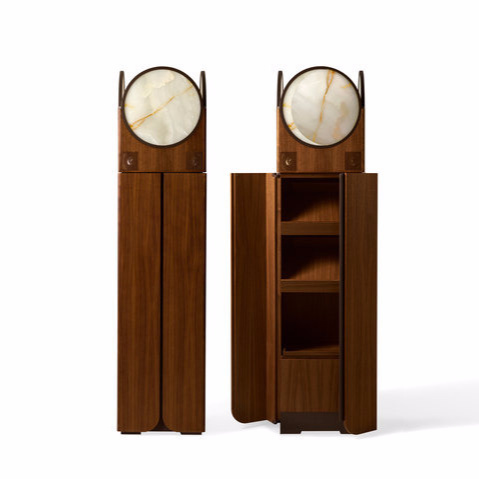 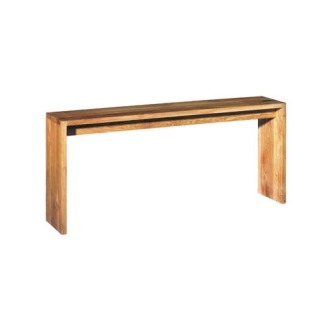 Ridå is available in oak and birch in a choice of eight standard finishes. 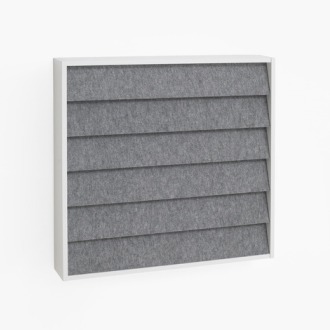 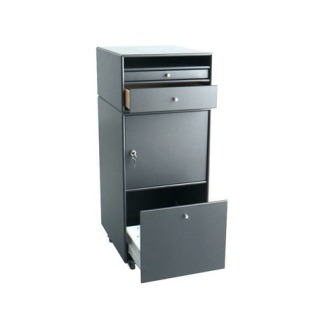 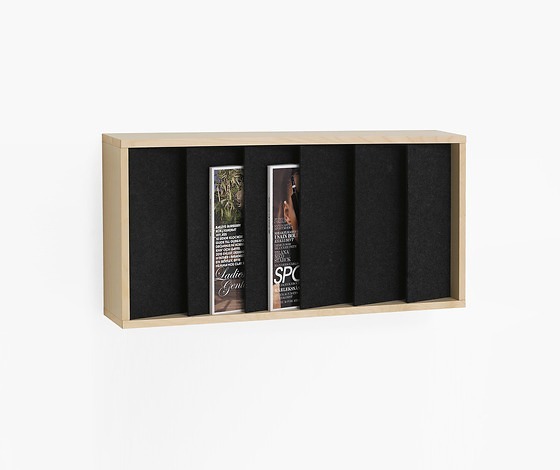 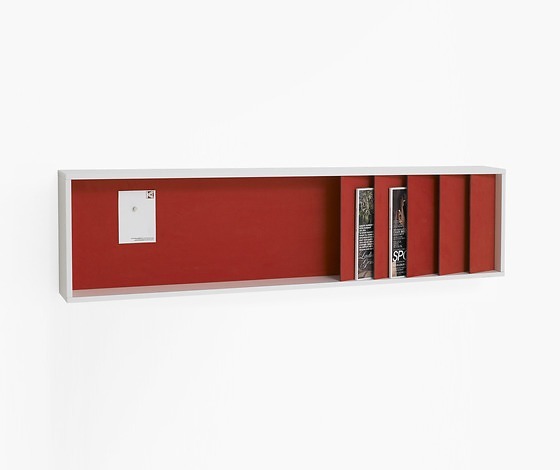 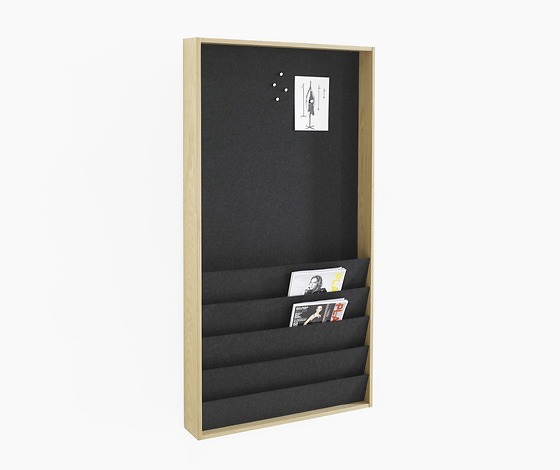 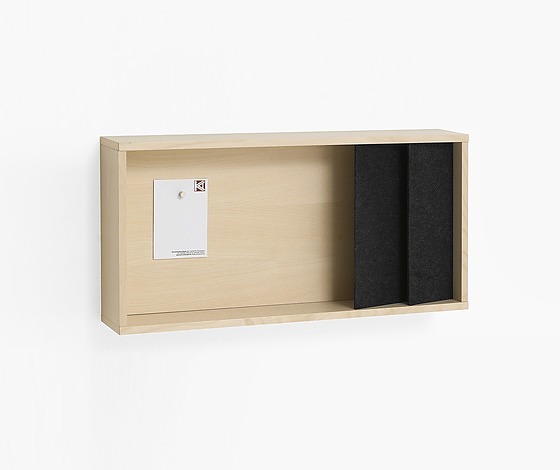 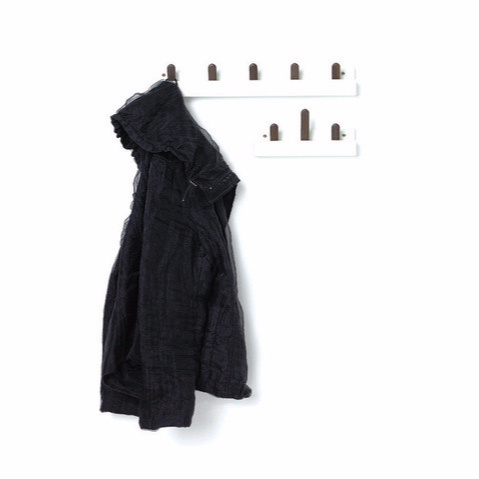 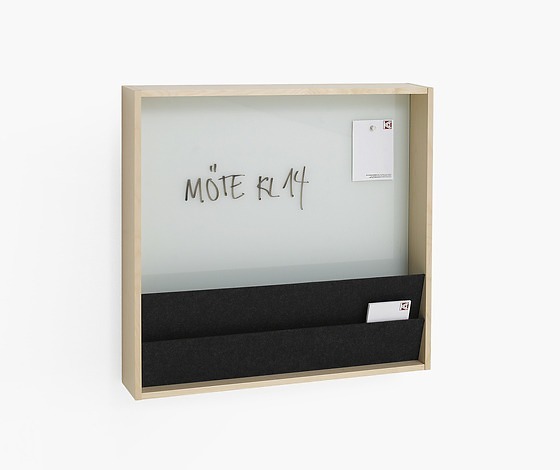 Choose a wooden back panel, felt pockets in light grey or anthracite, mirror, whiteboard, glass writing board or a noticeboard covered in Comfort fabric. 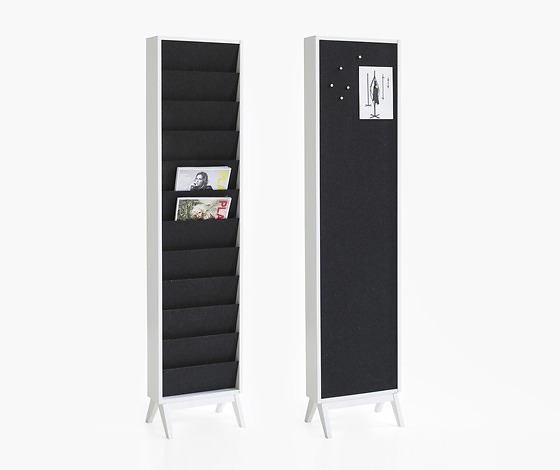 All back panels are magnetic. 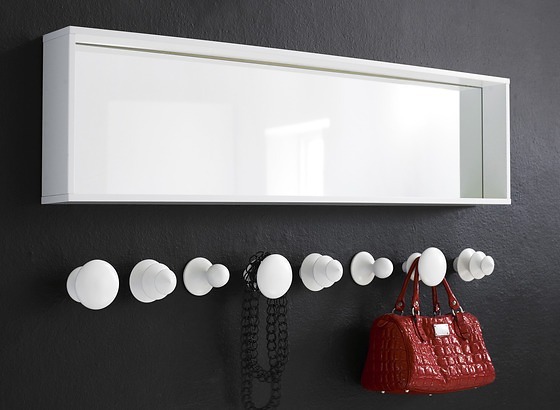 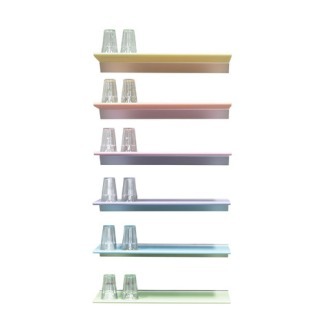 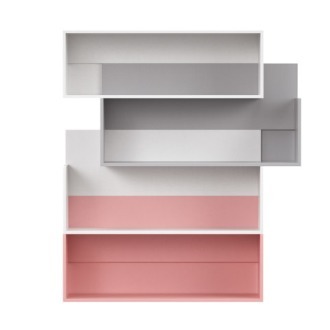 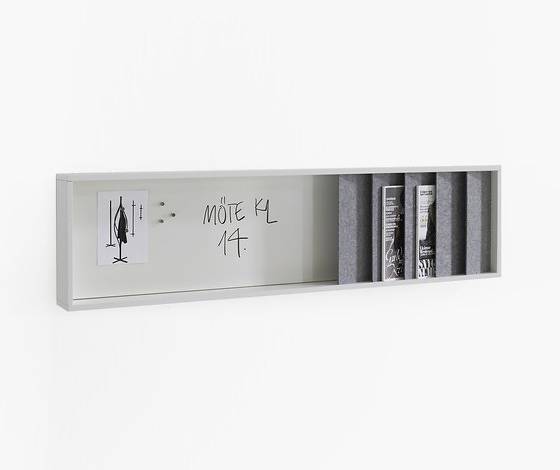 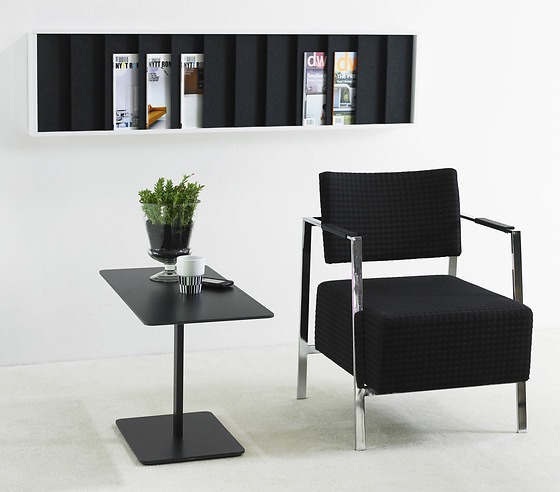 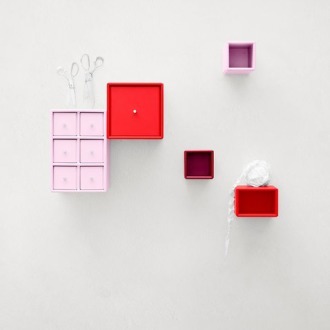 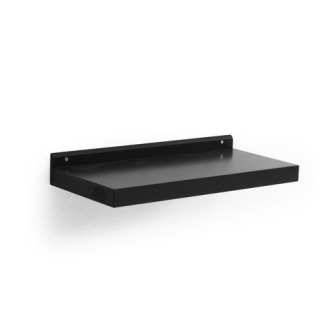 Ridå for wall mounting comes in heights of 742 mm and 1451 mm and in widths of 371 mm and 742 mm. 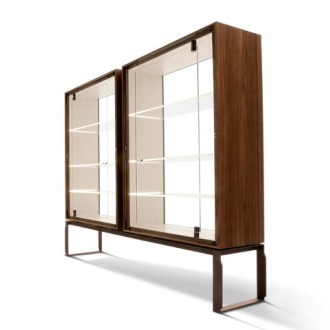 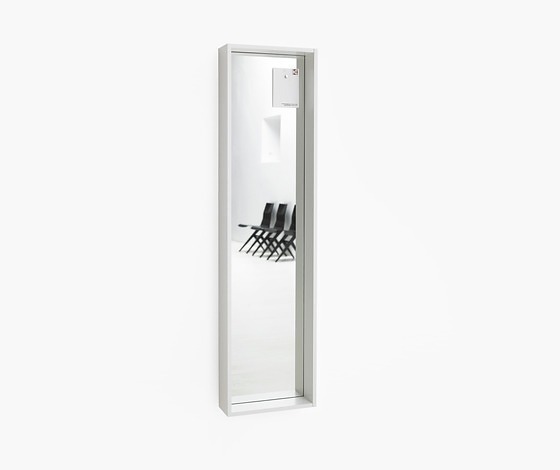 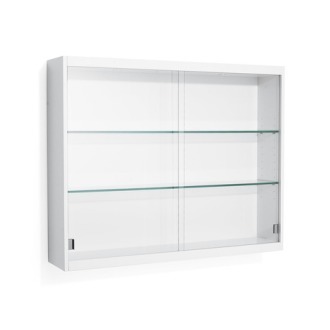 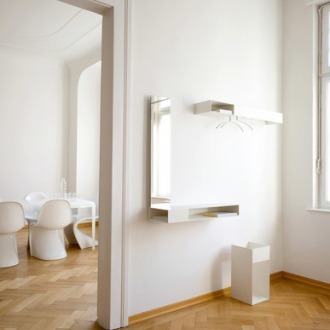 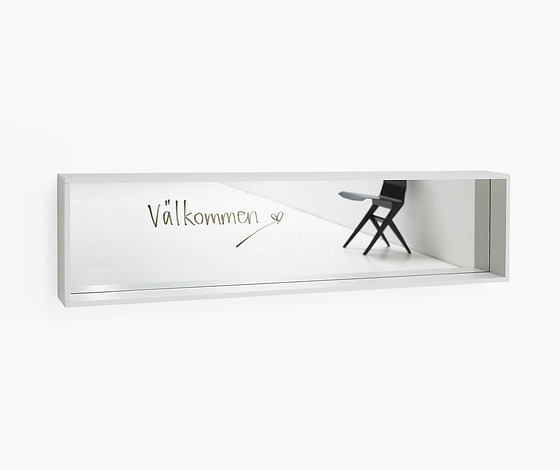 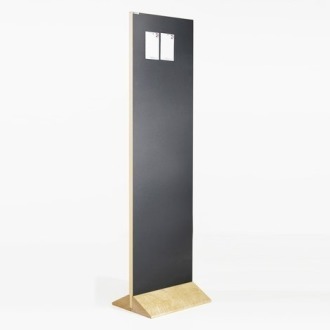 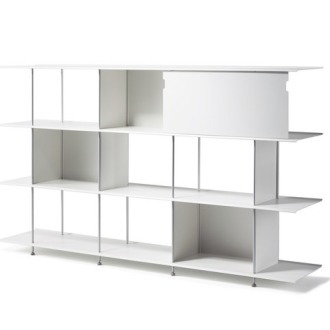 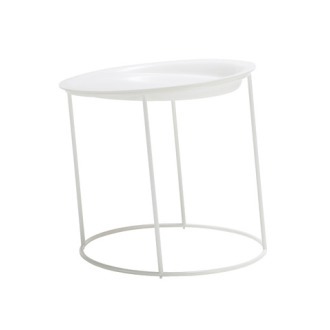 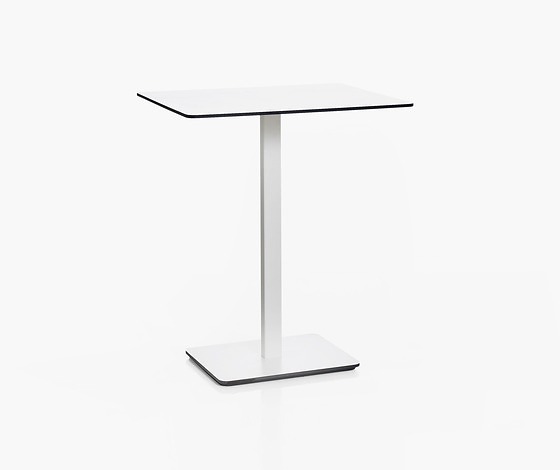 The 371 mm wide version hangs either vertically or horizontally on a metal suspension strip.Ridå is also available as a single-sided or double-sided freestanding construction, 1574 mm high and in widths of 371 mm or 742 mm.